Madison Park Business and Art Academy is an education hub, a place where students from the surrounding neighborhoods can focus on pursuing their education, starting in kindergarten and continuing through high school. 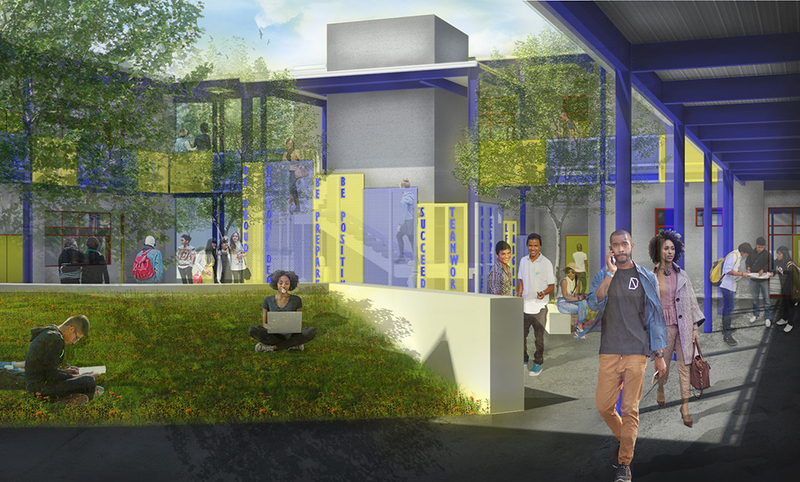 The OUSD Madison Expansion Project is a response to the school administration’s and school district’s vision to enhance the Madison Park Business and Art Academy. The project is a collaboration between the school district, administration, faculty, students, community, and design team. Madison Park Business & Arts Academy’s objective is to provide a healthy, clean and durable environment that promotes effective teaching and learning. The project deploys cost effective technologies and infrastructures to support these objectives. The design aims to drastically reduce operating costs by pursuing a zero net energy strategy. To achieve these goals, the team has created an environment that has a transparent, welcoming, and open quality. The building allows for flexibility in the use of each type of space and showcases the importance of responsible design and how it impacts our environment. The project promotes natural daylight and views, a high performance building envelope, healthy indoor air quality, filtered ventilation air, passive cooling, active heating, energy efficient equipment, and active space cooling if required. Domestic water use is further reduced by using a rain water reclaim system. 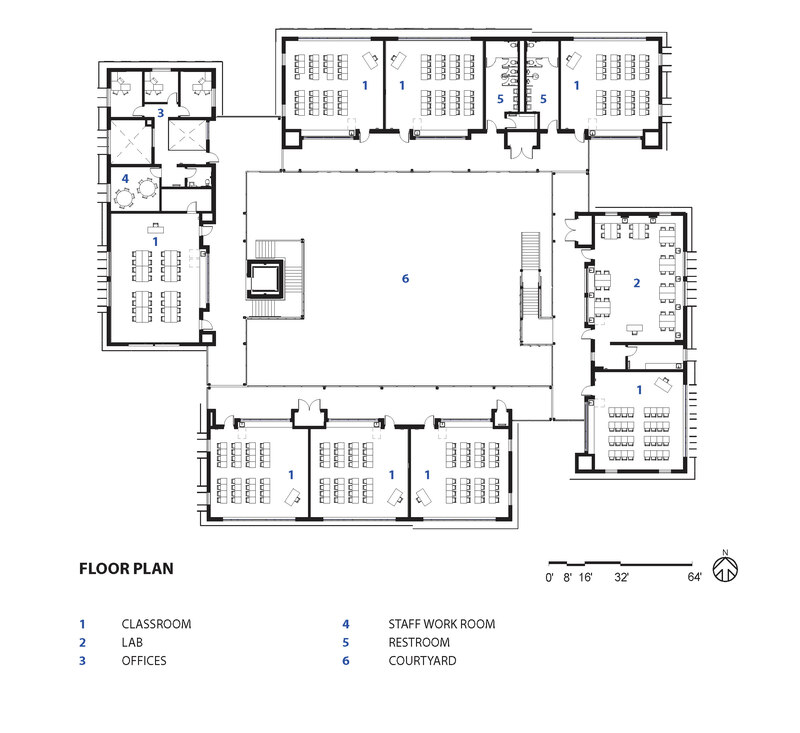 In addition to the goal of the zero net energy building design, the project is designed to comply with the Collaborative for High Performance Schools standard. The project documents were approved by the Division of State Architect. The project is expected to break ground in June of 2017. 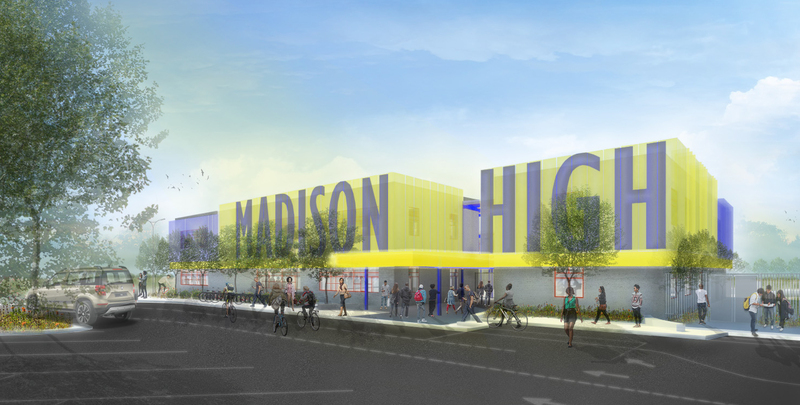 Learn more about Madison High School here.